"I am a CASA Board Member because..."
"I am a CASA Board Member because I felt my experience as an Advocate could help broaden the knowledge of the Board. It has been exciting to see how well the Board Members have accepted the Advocates and valued their input." "I am a CASA Board Member because I believe in the mission of CASA. As a former District attorney and elementary school teacher, I understand the need to provide abused and neglected children with as much support as possible." "I am a CASA Board Member because ..."
I have so much passion for CASA, in 2013 I became a CASA volunteer advocate in Georgia. 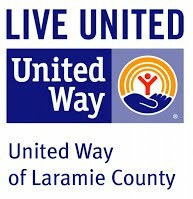 When moving back to Cheyenne I became involved with CASA of Laramie County, first as and advocate, and helping with fundraising and then became a board member. CASA has amazing people that are truly dedicated to helping the children in our community. I love being part of such an amazing organization. "I am a CASA Board Member and Volunteer Advocate because I believe CASA is an important asset to the abused and or neglected children in our community. I am very fortunate to be able to volunteer and make a difference in the lives of these children. Being able to provide another layer for these children and giving them a voice in court is very humbling and rewarding. "I am a CASA Board Member because this volunteer driven organization provides some of the most impactful services in the lives of children in our community. I’m proud to be able to utilize my skills to facilitate the achievements of our passionate advocates and diligent staff." "I am a CASA Board Member because I believe every child should be safe from abuse and neglect. CASA Advocates work hard to help these vulnerable children feel safe and thrive. I'm proud to be part of such a great organization that supports these amazing kids and their volunteer advocates!" I am a CASA Board Member because I want to see positive changes that will impact the lives of many children in need of assistance through a loving and committed organization. Stacy is the Vice President of Human Resources at Blue Federal Credit Union. She has been involved with CASA since 2009 when she helped to organize the annual Christmas movie night. Stacy believes in the philosophy of doing good and making positive changes in the lives of others. “I am a CASA Board Member because….